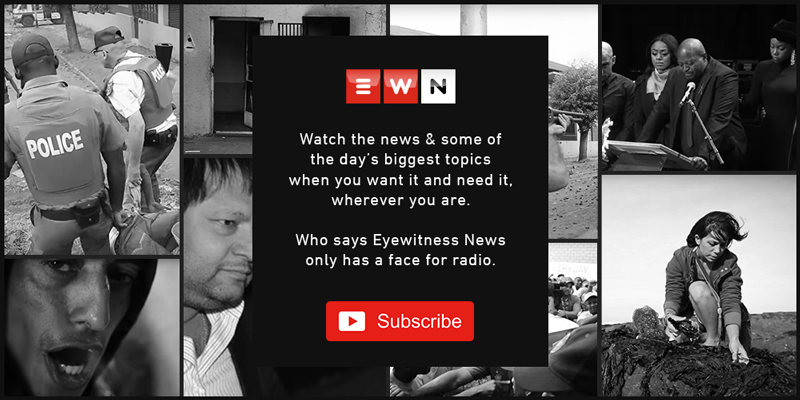 Eyewitness News reporter Kevin John Brandt is a radio and television journalist with a keen interest in politics, motoring and science and technology. He also has extensive experience in marketing and television production. On Wednesday, the Western Cape High Court dismissed their urgent application to overturn electoral laws and allow South Africans to contest elections as individuals. Traffic authorities have given motorists the go-ahead to gorge themselves on hot cross buns this Easter, secure in the knowledge that they won't be arrested for driving under the influence. A bolstered road safety enforcement plan will swing into action to decrease the high number of road deaths over the four-day Easter break. A Western Cape traffic official says a sharp focus will be placed on public transport through the screening of drivers. Two Caledon teens were shot dead while demonstrating for improved service delivery and houses last week. The African Christian Democratic Party (ACDP) has climbed on the black empowerment bandwagon, blaming the poor state of SOEs on a skewed implementation of empowerment policies. A recycling project that will rid the country of plastic waste and create jobs at the same time is set to be rolled out. Mayor Dan Plato said that the Mother City has now become world-renowned for its water demand management and conservation efforts. Frustrated residents last week protested over a lack of housing and service delivery in the area. Protesters claim there’s been a lack of service delivery in their communities for more than a decade. Party leader Patricia de Lille rolled out their election campaign to the Karoo town of Calvinia on Sunday.